日本自動車デザインコーナー 「Japanese Car Design Corner」: First official photo of all-new EUDM Honda Civic!!! 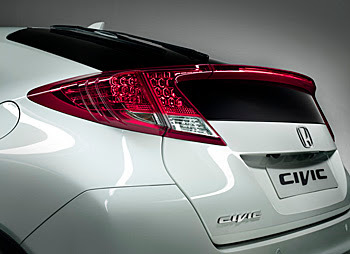 First official photo of all-new EUDM Honda Civic!!! As it was expected, the new EUDM Civic's design is an evolution of the current one and this is the first official photo published by Honda. I really like the new rear lights!